Sometimes problems that may feel serious only require simple solutions. That's what I had realized after my steering wheel felt increasingly jerky when drove above 60 mph. My first thought was to stay calm and continue the same speed while driving in nuetral. This helped me with some clues to determine if depressing the accelerator had anything to do with the vibrating steering wheel. It turned out that it didn't as the steering wheel continued to jerk while cruising above 60 mph. I thought of several reasons but hoped for the least serious causes like low tire pressure. Later I decided to buy an air tire attachment for my compressor. This way I can put my compressor to more use and would't have to drive to the nearest gas station to inflate my tires. So during my afternoon weekend I decided to inspect and try to add air to my tires. I had 2 of the tires that read somewhere around 20 psi; not good. Conveniently in just seconds, I inflated all my tires according to specifications. Back on the road the next day, my steering wheel stopped jerking beyond 60 mph. I'm glad that was over. A good idea now maybe to add some of the green thick liquid in the bottle that came with my less powerful but handy and portable 12 volt air compressor I had bought last week. Supposedly it can stop tire leaks which I may have a little bit of going on with those 2 tires earlier. 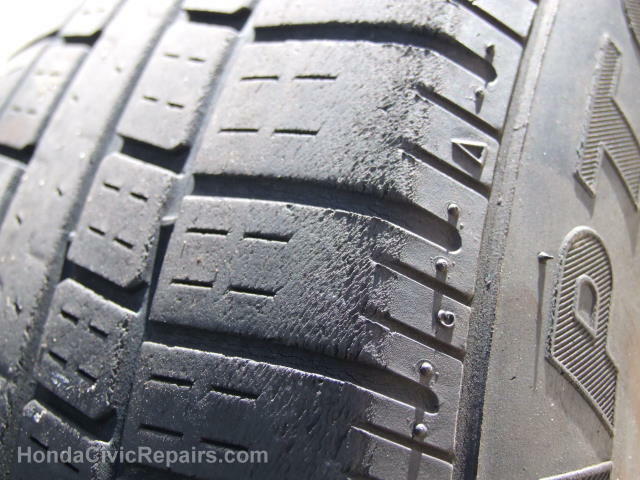 When after inflating the tires properly still doesn't solve the problem, my next suspicion would be the possibility of having unbalanced tires. 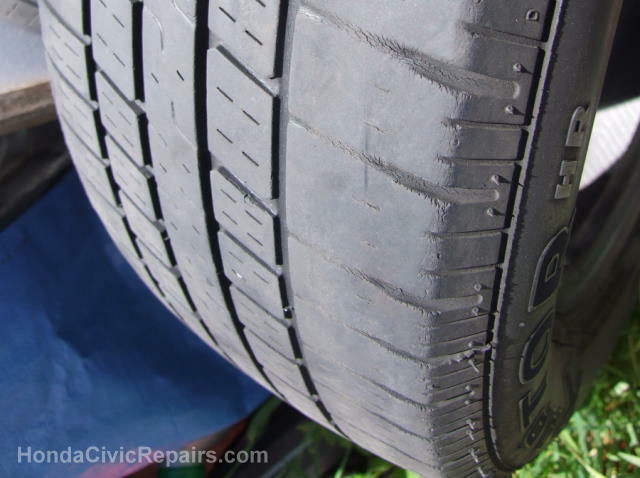 After installing new tires, it is always recommended to have them balanced by a shop that can ensure that the weight distribution around the tire is perfectly balanced by clipping tiny weights along the edges of the rim. Shops that use manual bubble measuring tools have done a poor job of balancing my tires compared to shops that are equipped with digital tire balancing machines that also spin to produce a simulation. My nearby tire shop charges $10 per tire while buying new tires typically include tire balancing as a standard packaged deal. In some cases, I've encountered jerky steering wheel problems that persist even after having both front tires balanced. And in such situations, I've had no other choice but to swap my back tires with the front tires (assuming they still hold it's perfect round shape) which solves the problem. Or buy two new front tires altogether. Of course this is expected after using the same vehicle frequently back and forth across long commutes while having to brake in heavy traffic which could wear down one side of the tire more aggressively. When the Steering wheel only Jerks upon pressing the brakes, that's my queue to begin considering when to replace the brake rotors. Luckily changing brake rotors have become as easy as changing brake pads. Worst case scenario is experiencing a Jerky Steering wheel after running over pot holes or bumps on the road which also gradually subsides. This sign turned out to be a leak at the Power Steering hose. Although a Power Steering Hose assembly can be expensive, it's easy to install and may be the best solution as these hoses are under many hundreds of pounds of pressure and shouldn't be taken lightly.